Money is the lifeblood without which business cannot blossom. Of a large number of businesses that start every year in Singapore, about half fail for lack of funds. Sufficient capital is vital in succeeding in business. There are many entrepreneurs with viable and vibrant business ideas who can’t get their dreams off the ground because they lack funds. Here are some sources from which you can get funds for your small business in Singapore. 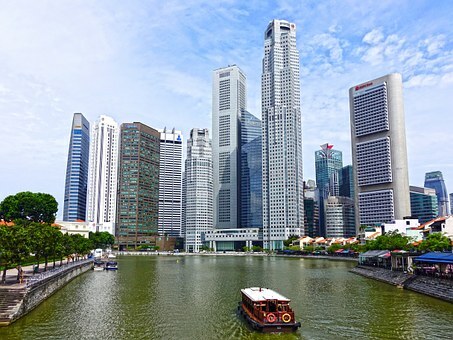 The Singapore government is equipped to support startup businesses and SMEs, understanding that these small businesses are the backbone of the Singapore economy. They are the future powerhouses that require nurturing. Small businesses employ almost two-thirds of the Singapore workforce. You may want to break from the shackles of employment by starting your business, or, you may have an existing company, the Singapore government can offer you financial support. There are several government grants and equity schemes accessible to Singapore startups. What matters is your eligibility. You may not qualify if you belong to some industries, such as tobacco and gambling. For those that are eligible, the government doesn’t fund fully, you are required to be ready with some capital yourself. Also, note that some grants are highly competitive; and involve a stringent application process. Here are a few grants and equity financing schemes available from the Singapore government. Spring Singapore, a government agency offers this scheme to fund start-ups in ten business areas. These areas include training, cost of equipment and cost of certification. If you are looking into scaling up your business capability, you can get up to 70% of the cost of your qualifying project. This grant is for you if you want to develop a new product. The government caps the grant at S$30,000. Spring Singapore offers this grant to first-time entrepreneurs with an innovative idea. Singaporeans and those with permanent residency qualify for this scheme, that is focused on the uniqueness of the business idea. They also check the concept feasibility, potential market, and management team. An attractive characteristic of this scheme is that it provides business mentorship through Accredited Mentor Partners. An entrepreneur can get advice, learning programs, and networking contacts. For every S$3 you have for the project, they give S$7, capping the grant at S$50,000. FSTI is a scheme launched by the Monetary Authority of Singapore to support innovation. This S$225 million scheme aims to equip financial institutions to establish innovation labs for developing technology infrastructure. You qualify for the scheme if your establishment is a financial institution in Singapore or a technology firm working with Singapore financial institutions. Upon qualification, you can get 50%-70% of the qualifying cost. MAS caps the grant at S$200,000 for up to 18 months. Comcare Enterprise Funds is a newly launched fund from the Ministry of Social and Family Development for startups that aim to support social entrepreneurs. The fund also provides expansion support to those firms that have been in existence for at least two years. To qualify for the fund, your enterprise must be in support of hiring and training disadvantaged Singaporeans. You can get up to 80% start-up capital and up to S$300,000 for operating cost for the first two years. The ESVF is the largest equity scheme by the government in collaboration with venture capital firms that support innovation and enterprise. The fund benefits early-stage technology startups in Singapore. Any qualifying enterprise can get up to S$3 million. You qualify for the fund if your startup is operating in the technology sector. Angel Investors are typically individuals with excess cash they are willing to invest in startups. They invest capital, and they may provide expertise during the early stages of business in exchange for equity holding in the company. Other investors take shares according to their contribution. Investors usually expect a share capital of about 30%. According to Rikvin, the corporate services provider, investors provide between $25,000 to $100,000 to companies. In Singapore, there are Angel Investors who are individuals and others that are networks. They typically screen proposals by ascertaining if the business has high growth potential. Here is a list of Angel Investors in Singapore. Venture capitalists give funds to small businesses which are beyond the start-up phase, those already generating revenue. Professionals manage venture capital funds and invest in companies with huge potential. The venture capitalists invest money in exchange for equity and usually exit when there is an acquisition or IPO. In addition to capital, the fund givers are actively involved in the business to assess sustainability and scalability. They also provide expertise and mentorship. For you to qualify for venture capital, your company must exhibit stability in terms of the team’s strength and show good traction. Get a list of 23 venture capitalists here. Business incubators in Singapore provide the professional mentoring and resources necessary for a startup’s growth. Accelerators work like the incubators, but they help a business to take a giant leap. Both are business supporters that will avail you with mentorship, investment and a network of fellow startups. You can access a list of incubators and accelerators here. With any source of funding, the support you can expect will depend on your business capital needs. By assessing the above sources of investment, you can determine what suits you best. In a state with such a vast number of business funds, nothing should stand in your way in growing a prosperous business.